Sean Shinners originally from Kileely, living in Grand Rapids Michigan USA for the past 20 years, regales us with tales of his youth working in Limerick City and some of the characters he knew and the shops he would pass in 1969 while working in Saxone’s Shoe Shop on O’Connell Street/William Street. I am a 13 year old boy and it is 1969 in Limerick.I am attending to my duties at the Saxone Shoe Shop I am polishing the brass handles on the front door and the brass fixture on the tiled floor that I had scrubbed clean. My other morning duties were to break up the shoe boxes from the previous days business and shine the linoleum floors and bannisters leading downstairs to the mens department. When that was finished my next job was to bring the post to the GPO and to buy stamps then I would head to the Dainty Dairy on Bedford Row to pick up doughnuts for the staff Elevensis break. I would always stop outside Mr McKennas shop next door to the Dainty Dairy and drool at all the toys and trinkets in the window that was until Mr McKenna saw me and hunted me knew that I was not a customer I was just another “Toerag” from Kileely of the Sixties to him. I loved walking back to the Saxone from the GPO I would watch the American tourists coming from the Royal George Hotel with the owner Mr Kennedy impeccably dressed standing outside with his hands behind his back like royalty. Walking down the street I would be drawn to the smell of food coming from the Stella Restaurant and the Galleon Grill and wonder what it might be like to eat in a restaurant like those. I would watch the rubbish men picking up their bags on the sides of the streets and all the different messenger boys and telegram boys cycling up and down O’Connell St. I liked to look in the window of the Wimpy and see the Chef Paul O’Connor in his starched white chefs uniform and his big moustache his presence was very impressive to this child. These are but a few of my childhood memories of Limerick in 1969. 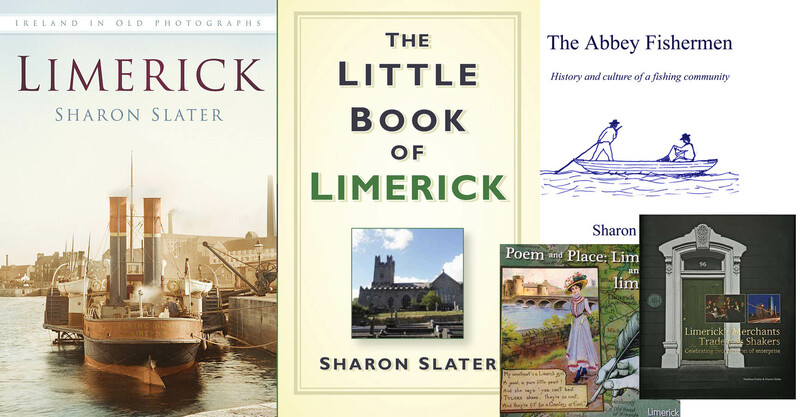 Next5 Ways Limerick Changed the World. I an originally from Kileely, born in 1965, i can relate to almost all of your tale. As it happened ,i worked in the Royal George hotel in the early 80,s at the the weekends and even though the Kennedys still owned the hotel it was Victoria K that was in charge then and John Lightly (think that,s the correct spelling)was the manager. Loved the craic we had in that hotel.. 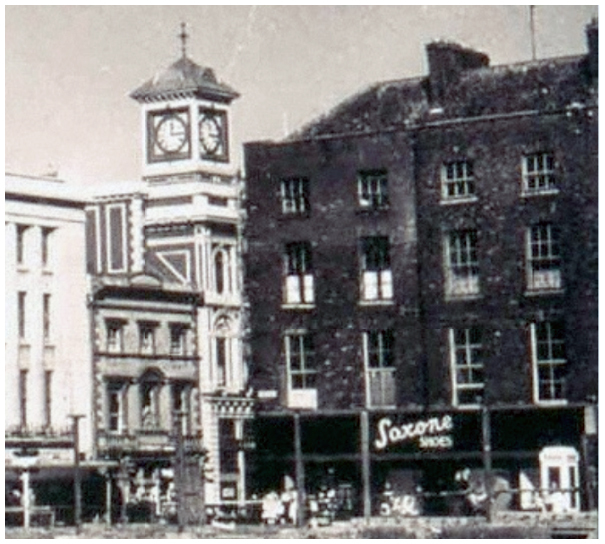 Unfortunately all the shops are now gone that you have mentioned ..Is that Cannocks clock in the picture ?